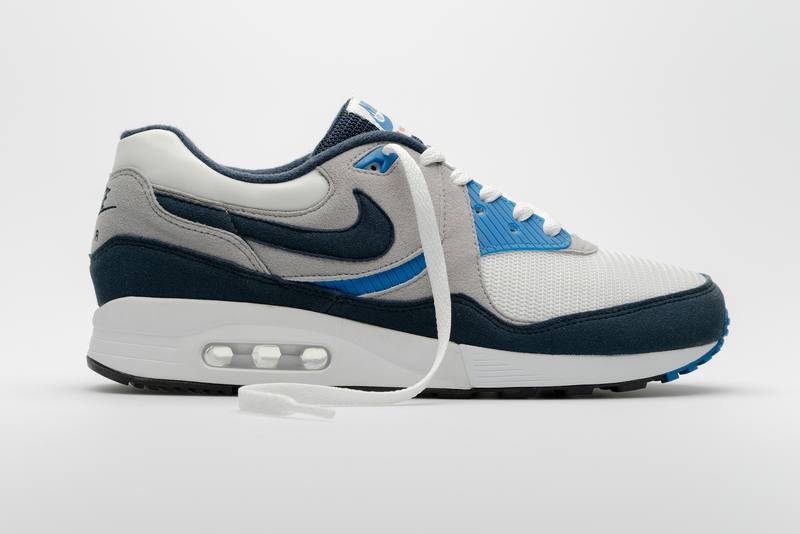 What could easily be mistaken for a hybrid creation of the Air Max 1 and Air Max 90, the Air Max Light was initially launched in 1989 and was only the second release from Nike to feature Air technology within the midsole. 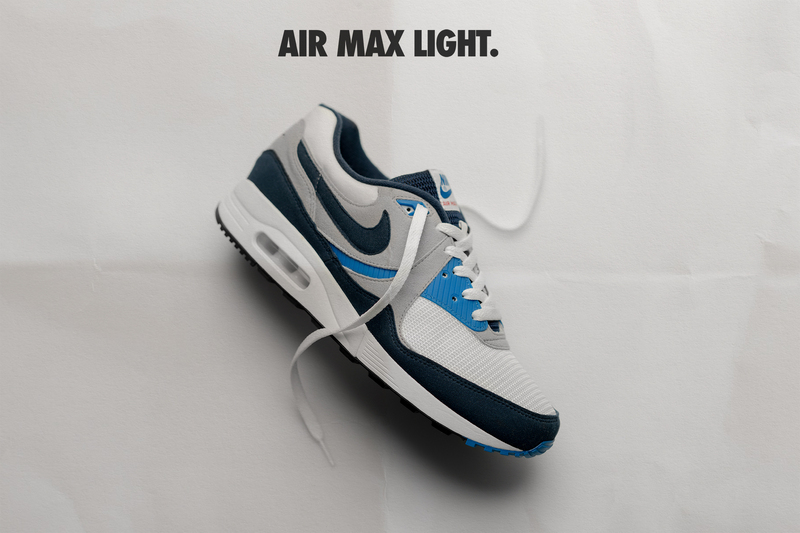 Originally marketed as the Air Max II, the runner was later renamed Air Max Light due to the construction process of the sole unit, which resulted in a substantial weight difference to that of its predecessor. 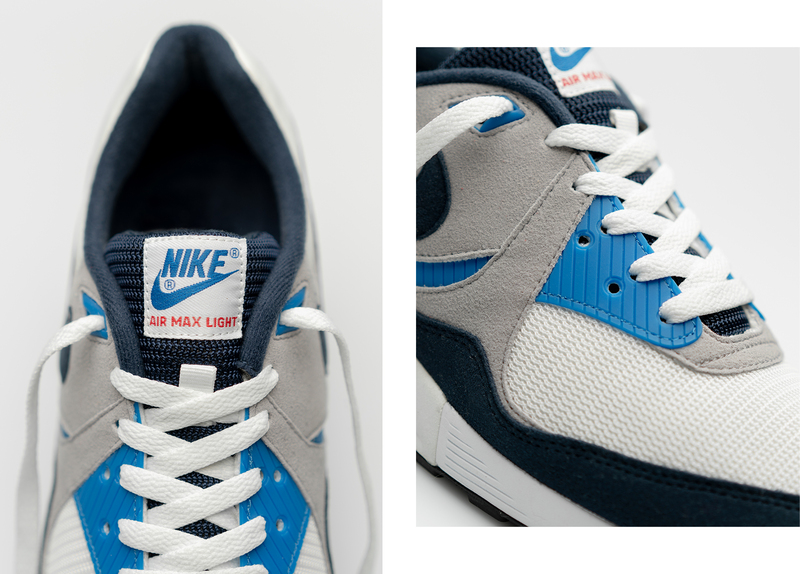 Arriving in an OG colourway, the Max Light’s upper boasts a base of white breathable mesh and light grey suede, overlaid by contrasting navy panels to the mudguard and side panel Swoosh. Vibrant bursts of colour arrive on the sky blue synthetic eyestays and cushioned sock-liner, while signature Air Max branding sits on the heel and tongue tab. Below, a comfortable foam midsole houses the brand’s forward-thinking visible Air bubble technology in the heel, coupled with a rubber outsole for traction. The Nike Air Max Light OG will be available via the size? previews app and in size? stores on Thursday 7th February priced at £110.